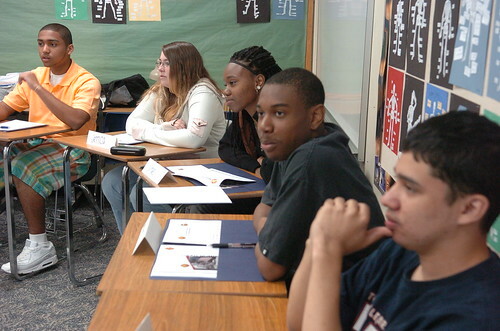 Thirteen teenagers from USAG-Humphreys participated in a focus group at Osan High School recently and voiced their questions, concerns and comments about their community. Issues raised during the focus group not related to quality of life for community members are forwarded to Denise Chappell, Humphreys’ Army Family Action Plan manager. For more information on U.S. Army Garrison Humphreys and living and working in Korea visit: USAG-Humphreys' official web site or check out our online videos.